Lexington Community Center, April 8th, 2019. Johanne Pino, project coordinator of Massachusetts Advocates for Children, will discuss the major components of the new Autism Omnibus Law, which significantly expands services and opportunities for children and adults with Autism Spectrum Disorder (ASD) and their families. 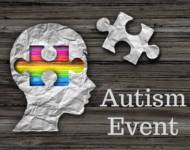 * Hear the six major components of the new autism law, emphasizing practical steps and strategies to help ensure that individuals with ASD and their families can effectively access new services and opportunities. About the speaker: Johanne Pino is a full time project coordinator at MAC where she engages in outreach and provides information and technical assistance to parents and professionals. Sshe has worked for many years as an advocate for her children with disabilities.